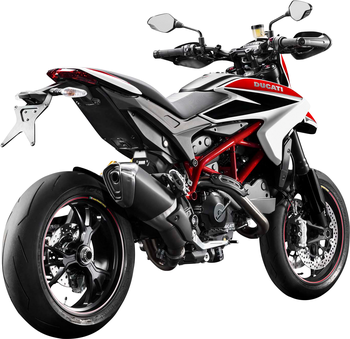 Are you planning to maintain and service your own DUCATI HYPERMOTARD 821 (HYPER8/13)? If so, Louis will provide you with all the information you need. What type of engine oil and which brake fluid should you use? Which are the right spark plugs? What are the correct tyre pressures and valve clearances? We give you the answers to all the important questions about your motorcycle. In addition, we offer a carefully compiled list of all the wearing parts, add-ons and accessories available in our range specifically for your DUCATI HYPERMOTARD 821 (HYPER8/13). So we are a one-stop shop where you can get all the information you need and the right product quickly and easily.